Abortion. Yeah. I’m going there. As a history freak, I’m pretty well acquainted with how hard life was for the women who settled and–might I add–fought–for this country. Sometimes they manned cannons or rode through hell and high water to deliver intelligence. They fought marauding Indians, beat off snakes with sticks, stared down cattle rustlers, stamped out brush fires with handmade quilts, heck, even crawled through blizzards. And a lot of the time our ancestors did these amazing feats with babies in their arms and toddlers clinging to their apron strings. I read somewhere the average woman in the 19th century had six children. Most of these ladies probably would have liked to stop before then. Six babies is a lot, but having them was a fact of life because successful birth control (short of abstinence) wasn’t a fact of life. I surmise, however, if they’d had magic wands and could have “undone” any of these pregnancies, I’d bet 99.99% of these gals would have balked at the proposition. In fact, I’d bet they’d be willing to walk through hell covered in gasoline to protect their infants. Fast forward to the 1970s when all a woman had to do to prevent pregnancy was pop a pill or slap a condom on her partner. Yet, Democrats and spineless Republicans pushed ahead (Roe v. Wade) to legalize abortion, though with “strict limitations” because those words make “murder” so much more palatable. Pro-lifers warned this was a slippery slope; man is after all evil and rebellious at heart. So here we are today. The New York state legislature comes along and votes into law the right of a woman to kill her baby in the 3rd trimester. And she doesn’t even have to have a doctor perform the homicide. I heard this morning the Virginia legislature is considering a similar bill. If you know me, you know I’m not politically correct so it won’t surprise you where I come down on these horrific “laws.” I am DEEPLY DISGUSTED by New York Assemblywoman Deborah Glick and NY State Senator Liz Krueger and Virginia Delegate Kathy Tran. The “sponsors” of these bills. I’d call them death merchants. Ladies, a law that allows the murder of a child for no reason other than the baby is an inconvenience is diabolical. Abominable. Dastardly. Evil. Heinous. Soulless. As are you. And I’m sorry for you. I can talk politics all day long and not lose my temper. THIS is the one issue on which I struggle to maintain patience and kindness. I’m not just dealing with ignorance or fear (as I see so often when discussing the 2nd Am), this is EVIL. Pure and simple. And I stand in Defiance of it. Pray, people, pray. Vote Pro-Life. Donate to pro-life candidates. Support our pro-life president. Our ancestors didn’t fight and struggle to keep their children alive to build this nation and settle a country just so we could treat human lives as if they are less valuable than cattle. Think about it. If the politicians feel this way about a 9-month old baby in the womb, who’s next? Senior citizens? The mentally challenged? Jews? One of the Coolest Things About Being Indie — Writing for YOU! REVISED and EXPANDED and FREE just for my precious readers! One of the coolest things about being an indie author is how responsive I can be to y’all! You can literally tell me what to write! Last year I released a book entitled To Love and to Honor. A lot of you wrote or commented that you loved the story but wanted to know more about a secondary character, a Cheyenne Indian named Henry Long Feather. He trains horses in the story and is my hero’s confidante. Voila! I went back in and revised and expanded this story and you get to see what pretty little white missionary had an impact on Long Feather. To Love and to Honor will be FREE for the next several days so you can read again without paying for it. I hope you’ll pick it up and let me know what you think about Long Feather and Miss Laurie! Here’s the link. I hope you’ll get your copy today! Henry Long Feather leaned against a tree and studied the white woman. She taught the children from the Bar FB three days a week and often brought them out of the little shack Fairbanks had built for a school. This was a rare thing for a white teacher to do, but she—Laurie Wilcox—was different from most whites Long Feather knew. She was older, like him. Perhaps fifty summers or so, but youth still lived in her smooth skin and ready smile. Everything about her was light and delicate and fascinating to him. From her long, golden braid that gleamed even when there was no sun, to her slight nose, to her haunting eyes—the icy blue of a stream in winter. But they warmed him, like now. “Aw,” the boy moaned, kicking at a dirt clod. The children gave her their own collective groan and drifted away, a few darting for trouble at various places on the ranch. When they were gone, their teacher rocked on her heels and smiled up at Long Feather, an awkward kind of sign that he couldn’t read. But there was much he did not understand about Mrs. Wilcox. “Surely.” The answer slipped out before he’d had a chance to think about it. A missionary, Miss Laurie was liked on the ranch, but the hands kept their distance, as if her religion might be catching. Long Feather harbored no such fear. Instead, he wondered what they would say about her strolling with an Indian if she wasn’t preaching at him. Hmmm. What trouble awaits this relationship? I hope you’ll read and find out. Get your copy today! Who Was the First Woman to Write a Western Romance? A simple question on the surface, I thought a quick Google would give me the answer. Turns out, a few females claim the honor. So after a little more serious digging, I came up with Mary Hallock Foote and her first novel, Led-Horse Claim: A Romance of a Mining Camp published in 1883. Turns out, Mary was quite an interesting gal. Born in 1847 in New York to Quaker parents, she attended school at the very proper Female Collegiate Seminary in Poughkeepsie. Her gift for the creative arts convinced her father (clearly a forward-thinking man) to invest more in his daughter’s education. He sent her to Cooper School of Design for Women, and by her early twenties, Mary was a sought-after illustrator and designer for some of the most notable publishers in New York City. She loved her job. She loved the city. But she loved a man more. In 1876, she married Arthur De Wint Foote, a young mining engineer whose career would take her deep into the wild-and-wooly Western frontier. Mary saw it all. From Deadwood to Leadville, from Idaho to Mexico. What this quote doesn’t tell you is that Mary didn’t have time to raise the children because she had to help put bread on the table. Her husband’s career as a surveyor and civil engineer was difficult, at best, due to his unswerving honesty. Apparently, fudging numbers was expected in the mining industry, but Arthur didn’t play along. Hence, the continual moves from one town to the next. But Mary wrote about it all and her short stories and serials gained in popularity. They were published alongside the likes of Rudyard Kipling. Her articles and observations of life in the Wild West were met with lavish reviews, especially by those who could recognize the ring of authenticity—because they lived it. Mary’s stories leaned more toward Western romance, though, as opposed to Owen Wister-style shoot-outs and brawls. She wrote fifteen novels in all. However, her husband eventually landed a job managing a mine in California and as his salary increased, Mary’s hectic writing pace decreased. Her last book was published in 1919. She didn’t seem to miss writing. Mary and Arthur were married for nearly sixty years. She, ever hardy and determined, lived until the ripe old age of 90. Unfortunately, while her life was long, her fame was not. It is nearly impossible to find the complete collection of Mary’s works now, even on Amazon. What a loss for the Western Romance genre. I love old books and am always looking to read more. Please feel free to suggest some! Lord Cornwallis, British general, and Washington’s nemesis. In the fall of 1878, Deborah Samson, at the fiery age of 18, enlisted in the Continental Army…as a man. Spending the next three years as Robert Shirtliffe, Deborah did her part to secure liberty and freedom for America. She served in various capacities under Capt. Nathan Thayer and proved herself a capable, willing, and courageous Massachusetts soldier. Never one to run from a battle, Deborah dove right in with the best and the bravest. She was shot once in the leg, nicked in the head by a British sword, then shot again in the other leg. All three times she refused medical attention so as not to have her ruse discovered. Unfortunately, she came down with a “brain fever” in 1781 and was treated by a Dr. Binney of Philadelphia. Imagine his surprise! He forthwith moved Deborah to his own home for recovery and sent a note to Capt. Thayer. 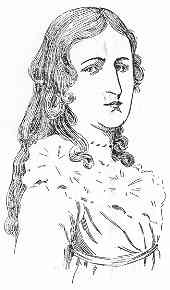 Upon her recovery, Deborah was called to General Washington’s office. The legends differ here on what exactly happened next. Some say she was asked to deliver papers to the General, at which point he gave her the papers of discharge. Other stories say she delivered the papers, was called back to pick up new dispatches, and then Gen. Washington handed her the discharge papers. What all the stories agree on is that Washington chose not to publicly reprimand or embarrass Deborah. He handed her the discharge papers, without comment, and also handed her the soldier’s pay due her, and a note of advice. Eventually, Deborah married a farmer named Gannet and had (naturally) three daughters. Ironically, she named the youngest one Patience. Oh, yes, indeed, a true Lady in Defiance. Hey, if you enjoy these stories, please join my newsletter posse. I’ll send you a FREE gift for signing up. I won’t hound you but once a month you’ll receive info about my works-in-progress, research, and my characters, as well as a chance to participate in contests and giveaways. You can sign up here. But if you are still in, hoss, all you have to do is sign up here and you’ll receive the FREE SAMPLE CHAPTERS (One file entitled Heather’s Haberdashery) and future newsletters. Well, I’m off to see a man about a horse. Thanks for readin’. Hope you’ll sign up. God bless and happy trails! A lot of you know my newest release, Hell-Bent on Blessings, is based on the actual pioneer lady Harriet Pullen. She was one tough chick. While her life story took place in the Klondike, I relocated her to gold rush California to suit my fictional requirements and changed a few details about her, but basically, this is the beginning of her destiny. I also decided to play with the facts a bit when it came to her children. The two teenage boys in Hell-Bent are inspired by my own two boys, Whit and Wyatt. Yes, I have immortalized my sons in one of their mother’s books, MUCH to their dismay and humiliation. As a beta reader said upon learning of this, “Good. Now your job is done.” Some mothers pinch cheeks or hug their teenagers to embarrass them. I write them. LOL! On a more serious note, in prepping for this story, I discovered some fabulous research material. If you like history, allow me to recommend two amazing books: The Age of Gold: The California Gold Rush and the New American Dream by H.W. Brands and They Saw the Elephant: Women in the California Gold Rush by Joan Levy. I found the one by Brands to be more compelling. I listened to it as an audiobook and there were a few times I didn’t want to get out of the car because I wanted to hear what happened next! While my book is a stand-alone story, it is part of the Brides of Blessings collection. I hope you’ll check out all the books by best-selling and award-winning authors Lynne Winchester, Kari Trumbo, Mimi Milan, Dallis Adams, and Danica Favorite. I truly think you’ll enjoy them. And I’d like to invite you to interact with all of us in our facebook readers group. If you have questions or comments about the series, we’d love to hear from you! You can certainly get your copy of Hell-Bent on Blessings here. Thank you! Forward snipit or copy of receipt to gowest36@gmail.com and you will receive in your email a Secret Link with a password to your bonus material! This is a one-time use of your email (unless you already subscribe to my newsletter)! And as always, my dear friends, THANK YOU so much for your support. I hope you know I do truly value my readers! You mean the world to me and I only wish I had more time to spend chatting with you! The California Gold Rush—when Gold Fever spread across America, it emptied towns, stripped ships of their crews, left women husbandless, children fatherless. The stories, especially of the women who sought to make their own fortunes, are awe-inspiring and, in some instances, flat-out amazing. Sometimes when I do research, I discover fascinating individuals who led gloriously exciting lives and then retired in peace, children and grandchildren sitting at their feet. The happily ever after. The ending we’d all like. Truth is, though, sometimes a hero has her moment early on and from there it’s not a very pretty spiral downward. This is my impression of the life of Apache warrior woman Dahteste (pronounced ta-DOT-say). Born around 1860 she chose her path as a warrior. The Apache let you do that. A fairly open-minded society, you could be a warrior, a homemaker, a medicine man, whatever, as long as you worked at it and could deliver. Dahteste was known for her beauty, but she was also clearly respected for her fighting, riding, hunting, and shooting skills. She was fast and she was mean. No man challenged her light-heartedly. And she proved her worth repeatedly on raids with the Apache. In fact, she rode with Cochise (you might remember him. He led an uprising against the U.S. government that started in 1861 and didn’t end until ’72). Remarkably, Dahteste was barely a teenager! Her fighting didn’t end, however, with Cochise’s acceptance of a peace treaty. She continued it by riding with Geronimo. Who knows how many “white-eyes” lost their lives to her rifle? Geronimo surrendered in 1886. Dahteste over the years had picked up quite a bit of English, had even served as a cavalry scout for a time, so she negotiated the great chief’s surrender. Her reward? She was arrested and shipped to a prison in Florida where she stayed for eight years. Then she was moved to the military prison at Fort Sill, OK where she was a guest for nineteen years. During her time as a resident of the US Army’s military prison system, she survived pneumonia and tuberculosis. I suspect she survived much more than that. During this time she divorced her husband Ahnandia (one of Geronimo’s original warriors) and within a few years married fellow inmate and former Army scout Coonie. The couple was released in 1919 and moved to the Mescalero Apache Reservation in New Mexico. Dahteste, reports say, never spoke English again and wore only beautiful beaded native clothing. She left her long black hair down and unbraided, but always brushed. She was a proud Apache woman who walked with her chin up. Though she did, indeed, retire with children and grandchildren around her feet, none of them were hers by blood, and she was not generally known to smile much. I hope she spent her final years enjoying peace and happiness, but I don’t get that sense. I think Dahteste was a survivor and she did so with more grim determination than optimism.